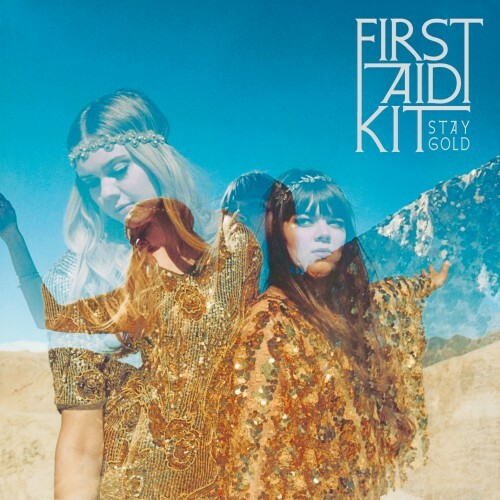 First Aid Kit‘s sophomore LP, The Lion’s Roar, easily made it on to my top 10 list in 2012, so needless to say, I’ve been awaiting new material ever since. Today, the Swedish sister duo has announced the follow-up to The Lion’s Roar with Stay Gold, which is set to release on June 10 via Columbia Records. The album was produced by Bright Eyes multi-instrumentalist Mike Mogis and features massive arrangements from the Omaha Symphony Orchestra and Nate Walcott, another Bright Eyes member and all-around instrumental talent. To coincide with the album details, First Aid Kit are streaming the album’s opening track and first single, “My Silver Lining,” which fully displays the string layers and masterful production that’s been added to the duo’s already impressive full, folky goodness. You can stream “My Silver Lining” after the jump and be on the lookout here at UTG for pre-order details and more material as First Aid Kit roll out the promotions for their third LP. We’re supersupersuperpsyched to finally get to tell you guys about our third record: ”STAY GOLD”. This record was made with love in Omaha, Nebraska. We got to return to ARC studios and collaborate with our favorite producer Mike Mogis. Together we worked hard to turn 10 songs into an album we are truly proud of. Stay Gold will be released June 10th, we can’t wait to share it with you guys. love love love the single! can’t wait to hear the rest of the album!! Same here! One of my most anticipated of the year. First Aid Kit has a signature sound that doesn’t come around very often. I’m hooked on this song and have no doubt the rest of Stay Gold will be just as impressive. Agreed. The Lion’s Roar was such a killer album and judging by this single, they sound like they’ve evolved even more.